Booking: sandy@lomaticoprod.com Sandy Perrellon is a passionate and creative electronic music DJ / Producer, which allowed him to seduce and convince not only the most trendy clubs in France but also in the world. Born in the South of France, Sandy has a devouring passion for music from an early age. The title of Depeche Mode "People are People" made a huge impact on him and acts as a catalyst with the belief that electronic music of an unlimited richness would benefit his creative spirit. DJing was naturally the first step to start his storytelling, exploring with curiousity all richness of sound of that music. One of Sandy`s path would be the groove of house music. Driven by his passion, Sandy became a recognized artist in the local electronic community. Easily identifiable by his musical signature, the man with the hat, distills the best of House Music and offers a musical palette all in relief. Attached to the importance of giving a tone to bring a color to his sets, one regularly finds Latin and African influences . His technique and extensive musical influences make his DJ sets explosive and memorable moments. Highlights 1997: His first steps He starts his first evenings and "warm up" in the association with "Les enfants du Glap", which includes djs such as Jack de Marseille, Stephanovitch or Miss kittin ... From 2003: Bar Live He then became resident to several renowned clubs in his region. He gives his first performance at the live Bar in Montpellier which is the biggest after-Party Club of France and one of the most famous in Europe where he will spend six beautiful years. 2006: La Dune Sandy integrates the select club "the Dune" in Montpellier, an essential place of the Languedoc nights, in the heart of the most renowned private beaches. La Dune has a rich program, hosting big names such as, Luciano, Sven Vath, Marco Carola... 2011 - 2014: The Heat Club Sandy become resident of this new place, which shakes up the Montpellier nights and from its opening night imposing itself as one of the best club in the South of France. Meanwhile, from 2007 to 2016: Effet Mer An upscale summer resort, known for being one of the most trendy private beaches in the Hérault, Sandy's residence has become an institution. His life as an artist: He is invited to share his Music world, and travels France. Queen (Paris), Social Club (Paris), Villa Rouge (Montpellier), Le Pop (Lyon nuits sonores) ... But also abroad: Pacha Hotel (Ibiza), Rose Bar (Casablanca), Mango (Tahiti) ... DJ, producer, and composer! All his experiences encourage him to push further and led him to composition. A more intimate way of presenting his universe. It all starts with the release of his 1st Ep: Mendossa under the label Chronovision Ibiza Https://soundcloud.com/sandyperrellon/mendossa-extended-mix ¨Then a remix of Deadly dance by Valentin Huedo (Blue Marlin Ibiza) as well as some other remixes. 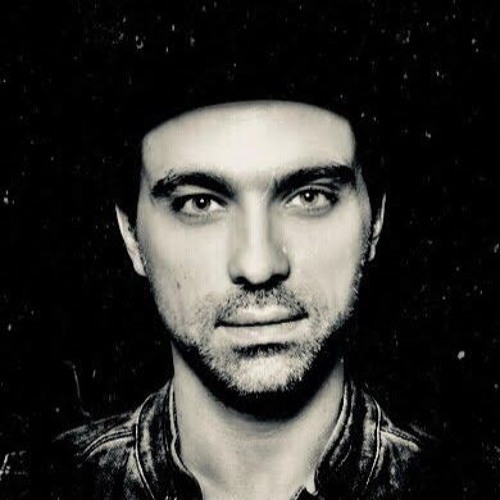 Https://soundcloud.com/sandyperrellon/deadly-dance-sandy-perrellon-remix He is also behind the compilation of La Dune 2008 and those of L'Effet Mer Summer 2013 and 2014 with exclusive compositions "Breaky" and "Calao". "Between Us", one of his projects in 2012, led him to a duet work with his friend Sebastien Thibaud, a more direct orientation towards the live performance, with a sound radically different from his solo project. "Renato","Drawing The Sun" or "Nothing Shore"